Tariffs and Taxes and Trade, Oh My! After a rocky start, the first half of 2018 ended on a positive note with the S&P 500 up 2.6% as of the end of the second quarter. The noise surrounding the market is getting louder, resulting in more violent moves. 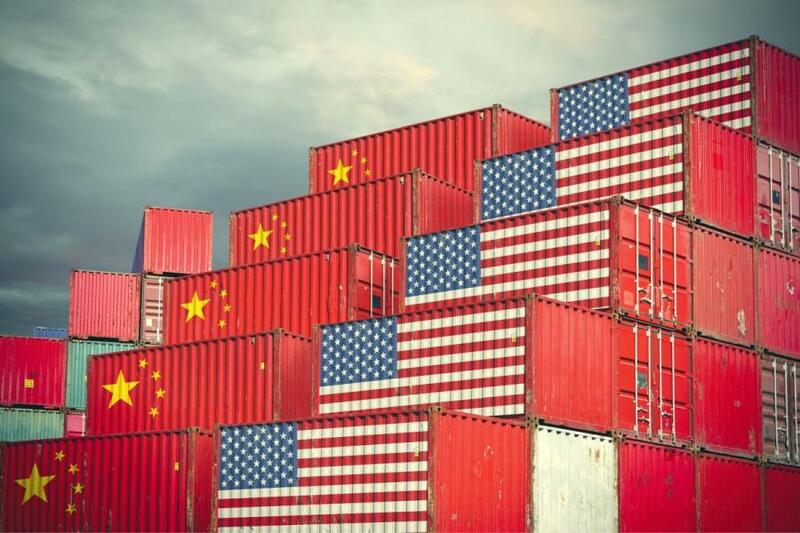 While much of the sound can be ignored by long-term investors, we are focused on three things heading into the third quarter—tariffs, taxes, and trade. Over the period of 1980-2006, the World Bank and the Organisation for Economic Co-Operation and Development (OECD) have identified 16 episodes where import tariffs have increased by at least 3.5% in a year. The findings track three key macroeconomic variables in relation to the tariffs. On average, GDP per capita and total wages fall by around 2% relative to the trend over the first two years after tariffs increase. They are both back on track by the third year. The investment-to-GDP ratio, however, persistently declines by approximately 1% over the five years following the increase. Last year, according to the U.S. International Trade Commission, tariffs on imports totaled $33.1 billion and China accounted for $13.5 billion of that figure. President Trump recently imposed a 10% tariff on an additional $200 billion of Chinese imports. If you do the math, that amounts to a 19.6% total increase in import tariffs compared to the 2017 figures. While past tariff increases have typically been followed by large decreases in economic activity, it does not necessarily mean that tariffs caused these changes. The economic lesson we learned from Adam Smith is that for trade to occur, it must make both parties better off. Tariffs typically occur when a specific industry, good, or service is at a disadvantage. President Trump has stated that he believes the U.S. trade deficit with China is indicative of a broken system. A change to the “rules of the game” would likely come with economic shock, but the theory is that any short-term setback will be worth it. The U.S. and Europe will be in a stronger position over the long-term by undermining China’s mercantilist policies. It is important to keep in mind—protectionism is an economic philosophy based on upholding rigid principles, even if it means sacrificing prosperity or going to “war”. The last change isn’t specific to real estate, but will change the calculation of whether to pay off your mortgage. The greatest impact will be on married couples filing jointly. For tax year 2017, a couple would need deductions greater than $12,700 to benefit from using Schedule A. Now these write-offs need to exceed $24,000 with a $10,000 cap on state, local and property taxes. In other words, there is no tax benefit for paying mortgage interest unless you pay over $14,000 annually in mortgage interest, charitable deductions, and other Schedule A deductions. For homeowners in the second half of their mortgage term, the amount of monthly interest payments is starting to decrease drastically. If it is to a point where a tax deduction will no longer be allowed, then a simple interest rate comparison can be performed. Assuming the interest rate on an ultra-low-risk investment (cash) is less than the mortgage rate, it makes sense to pay off the mortgage and save the monthly payment back into cash. It is important to remember that these changes have a sunset provision—they expire at the end of 2025. Opinions regarding cryptocurrency range from “the future of money” to “a speculative market bubble” and everywhere in between. All corners of the financial industry are clamoring to get their piece of the pie—a blockchain ETF has been launched, Goldman Sachs is offering Bitcoin-linked derivatives, and Coinbase has introduced a platform for retail investors to buy cryptocurrency through an iPhone app. Thousands of vendors worldwide are now accepting Bitcoin and others as acceptable forms of payment. Rest assured that if cryptocurrency was a true threat to paper currency, governments would impose heavy regulations. It has not gotten to this point, but the technology underlying cryptocurrency is quietly revolutionizing how business is done. This past May, HSBC performed the first-ever trade finance transaction using a single blockchain platform. The deal was completed for Cargill when a shipment of soybeans was transported from Argentina to Malaysia. This would have typically been done with Letters of Credit—a process which creates a long paper trail, takes 5 to 10 business days, and is rampant with fraud. The application used to execute the Cargill transaction is called Corda. The platform uses a network of computers to verify transactions, is supported by 12 banks, and successfully slashed the processing time to 24 hours. The use of blockchain in trade is far from being ready for widespread adoption, but the juxtaposition of this trade deal with President Trump’s tariffs is interesting. A study by the United Nations found that blockchain can cut the cost of exports by up to 31%. The increase in cost from tariffs may be the impetus to push the development of this technology to the forefront. Planning Capital Management is your advocate—delivering personalized strategies and independent advice. © 2019 Planning Capital Management Corp. Planning Capital Management Corp. is a Registered Investment Advisor.